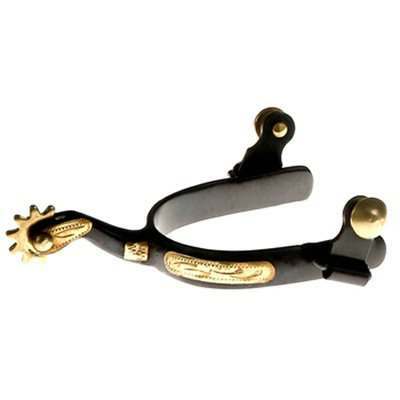 Ladies Roping Spurs are made of Black Iron and are fitted with a brass trim . 1/2'' band. 1 3/4'' Shank, 7/8'' 10 point rowel.